With outset in our Supply Chain simulation solutions combined with a strong knowledge base concerning logistics and supply chains enables us to make complex challenges manageable and create a transparent and objective basis for making decisions. With supply chain simulation you can test the efficiency of your supply chain and see the consequences of your decisions before of they are made to your supply chain. Hereby, a shared view of your functions and connections is established in your organisation. Additionally a shared decision basis is established. What is the most cost effective setup? Where should factories, warehouses and distribution centers be located? How is goods transported to the lowest possible cost? Does the supply chain have the right capacities? How is your delivery performance, throughput times and cost affected when changes are made in your supply chain? How changes in control parameters and master data as lead times, stock levels, reorder points etc. affects your supply chain? How changes in demand affects your supply chain? What is the optimal balance between logistic costs, service level and inventory levels? Why use simulation within health care? It is about securing patient satisfaction. The best treatment at the lowest possible costs. How to harmonize this? The health care industry has in many years been an area for large cost savings and hereby layoffs. Why not simulate and hereby optimize processes instead? It is about finding the best balance that the system can operate under with the highest quality at the lowest possible cost. Patients do not arrive after a perfect schedule. They often arrive with a given variance. With simulation it is possible to model complex relationships and variance in multiple areas. Hereby, it is possible to test and analyse all or a part of the treatment-area without risk. The model is build in a easy and intuitive way with drag and drop and a patient oriented design. Simulation do not only imitate the real world. With historical data and statistical distributions it can be used to provide qualified projections and forecasts. No guessing, just very precise information. How is capacity utilized? Should it be increased/decreased? What are the benefits of reduced throughput times? What will happen if changes are made in the production(machines, people, product mix etc.)? What should the capacity and layout of the factory be to match your customers requirements? What will happen if demand changes? Based on our many years of experience along with our ability to inspire, involve and increase the competencies of your employees, we secure that changes are controlled and anchored in the company. We develop a solution which fulfills your needs so you can use Enterprise DynamicsÂ® under the best conditions. With Enterprise DynamicsÂ® you are able to quickly develop a simulation model of your problem area through the programs drag'n'drop principle, which enables you to build any problem area with the help of the incorporated building blocks. Enterprise DynamicsÂ® provides great visualisation through the programs 3D-environment whereby, it is possible to take a "tour" through the virtual factory, production line etc. Basic courses: What is simulation, where is it used and for what? Advanced courses: Expands your competencies with focus on control algorithms and 4DScript. It can be expanded to training in GUI and 3D-animation. The courses takes outset in your company and is fitted so the training and examples can be related to your daily routines and challenges. We have in many years taught at multiple educations as: Aalborg University, Aarhus University (Engineering college Herning), IDA (engineering association). 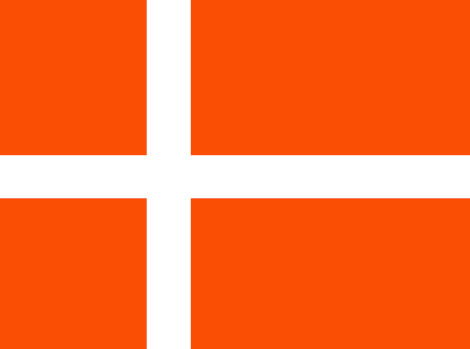 Additionally, we have taught companies as: Grundfos, Coloplast, Viking, Dantherm, Danish Crown and Aalborg Portland. Integrate arbejder med big data, herunder dataindsamling, big data analyse, modellering og simulering med henblik pÃ¥ at opnÃ¥ det bedst mulige beslutningsgrundlag for optimering. Vi mÃ¥ler, registrerer og opsamler data overalt i vores samfund og i vores virksomheder, men vi formÃ¥r ikke altid at udnytte data til at optimere og gennemfÃ¸re forbedringer â€“ ganske enkelt fordi det er en meget kompleks opgave. Integrate har i mange Ã¥r arbejdet med at udnytte data og transformere data til viden og beslutningsstÃ¸tte for virksomheder og organisationer. Vores arbejdsfelt er ganske bredt â€“ lige fra optimering af kompleks produktion og logistik, til modellering af energisystemer, optimering pÃ¥ sygehuse og til modellering og simulering af â€�logistik i krigsfeltenâ€�. Den digitale verden er i rivende udvikling, og der registreres og opsamles informationer og data om stort set alt â€“ lad os udnytte disse data og bygge modeller, der kan gÃ¸re os klogere og vise de bedste veje til optimering â€“ det kalder vi intelligent beslutningsstÃ¸tte! In many of our projects, we use Virtual Manufacturing to create better insight in processes, to optimize and balance capacities, to test concepts and validate complex business activities and much more. Through a combination of simulation and visualisation in 2D-/3D drawings, we can recreate e.g. a current or conceptual production site with possibility to navigate via the classic mouse and keyboard on a PC or via Virtual Reality. Thus, a common foundation is created for all parties to (further) develop and solve challenges, whether it is proces optimization, -scheduling or something else. 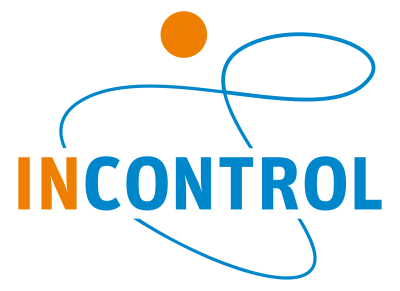 distributor of Enterprise DynamicsÂ® developed by InControl. Enterprise DynamicsÂ® is an object-oriented simulation tool, which purpose is to imitate reality. Thus it is possible to evaluate, test and see the impact of new concepts, layout, capacities etc.